Connor McDavid is not the only Erie Otter making major headlines this season. Dylan Strome has certainly made a name for himself as well. He along with McDavid have helped lead the Erie Otters to a fantastic regular season. They currently sit 2nd in the OHL Western Conference, and are ranked 6th in the latest CHL Rankings. The Otters have 5 games remaining before the playoffs begin. They are locked into the 2nd seed in the Western conference. London trails Erie by 15 points, and Erie trails Sault Ste. Marie by 8 points. Erie is almost assured a 1st Round playoff date with the Sarnia Sting. Business is about to pick up in a big way for both McDavid and Strome. They have to get ready for the playoffs, and then they have to get ready for the upcoming NHL draft. What a whirlwind these next several months will be. I had the chance to sit down and talk with Dylan Strome. In Part 1 of our conversation, we talk about the potential of his family being the next NHL family, with his younger brother Matt being OHL draft eligible next season. We also talk about the upcoming OHL playoffs, and what they are doing to prepare for them. The Hockey Writers: Talk to us a little bit about your brother Matt. He is a 99, and is eligible for the upcoming OHL draft. Is he like you or your brother Ryan? 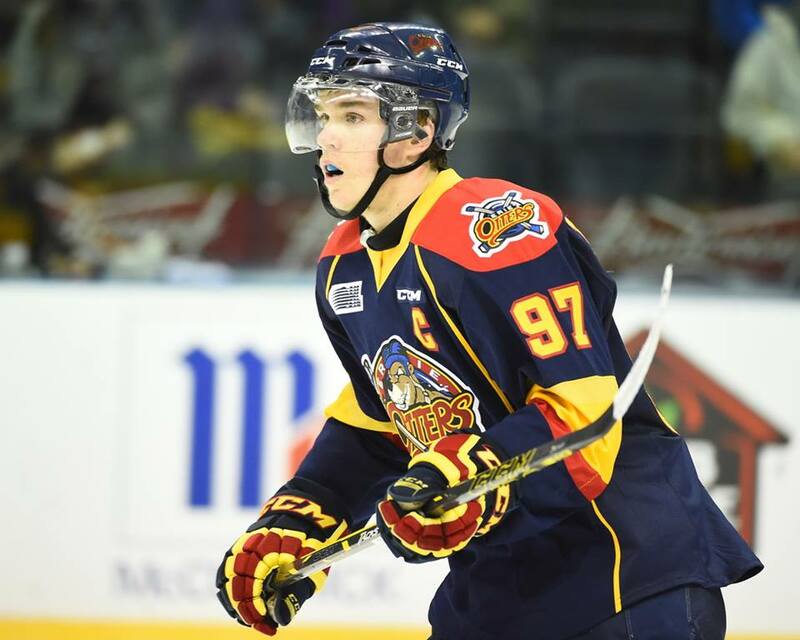 Dylan Strome: He is a little bit of a different player. He’s just a little smaller than me, so he is big for his age, he’s one of the biggest in his age group. He is more of a physical kind of guy, but he still has pretty good hands and can score goals. He needs to work on his skating a little bit, but that comes with the territory, I do too. We are pretty similar, but he is a bit more physical. THW: So just think of it. You got the Staal brothers, Eric, Jordan, and Marc. You also have the Sutter family. Have you ever thought about the potential that you guys could be the next big family, the Strome family? DS: Yeah, a couple of people have said that, but we try not to think about that, that’s a bit much. Ryan has done pretty well so far in the NHL, I know he’s doing well in New York. I’m just trying to make my own path and get there myself. THW: Here we are, down to the final handful of games before the playoffs begin. Then the draft will be soon thereafter. Has this all hit you yet, knowing that business is about to pick up for you really quick? DS: Yeah, I’m really looking forward to it. The start of the year was pretty exciting. Then Christmas time and the World Juniors, everything was pretty cool around then, then the 2nd half of the year, where it’s kind of like a dull period between the last 15 games (and the start of the playoffs), but those are the games that matter for position in the standings, and we have our position locked up now. Now we are a little bit in a dull stage, but things will pick up these last 5-6 games as we get ready to start the playoffs. THW: What do you want to focus on in these last few games, knowing that you are in 2nd place, you might not catch (Sault Ste. Marie), there might not be much incentive, but you will be playing teams that are fighting for their playoff lives, such as Windsor and Plymouth? DS: Yeah, it’s very important. Last year, we finished on an 8 game winning streak to stay ahead of London for 3rd place, and that was huge. We lost in the Conference Finals. It didn’t end the way we wanted it to, but getting there was one thing. It’s about ending on a good note. If you end the season on an 8 game winning streak, you’ll have confidence going into the playoffs, as opposed to ending the year on a 5 game losing streak, nobody wants that. We will stay focused, and do what coach tells us to do. THW: You mentioned your skating, we know that you have been working on that all season. Where do you think you are with that now? How much improvement have you made, and how much farther do you think you can go? DS: Yeah, I feel like I have improved a lot. I feel like it is not as big a struggle to get around a defenseman as it was at the start of the year, but there is definitely a lot more that I can work on. You always gotta get faster and stronger, and that just comes with time and it’s part of the territory. It’s about building up strength in your legs, and working on that everyday, if you can do that, there’s not much more you have to do. THW: How encouraged are you by last weekend’s performance? Your team beat Barrie 5-3, and then beat North Bay 5-3 by scoring 4 unanswered goals in the 3rd period. 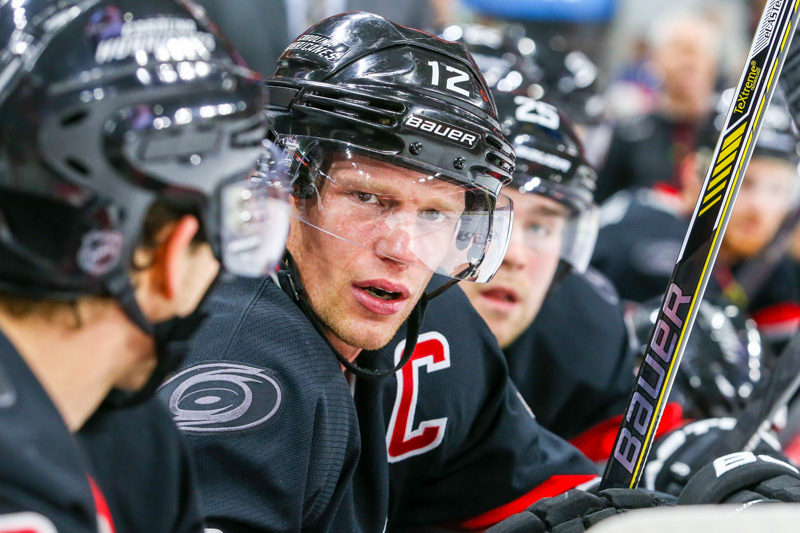 Do you feel like your team is starting to get the consistency needed to succeed in the playoffs and to make a run at a Memorial Cup? DS: Yeah, for sure. Those are 2 really good teams in the Eastern Conference. When you can beat a really good team like Barrie, that’s pretty good. And with a team like North Bay, one of if not, the best defensive teams in the league, to be able to score 4 on them in the 3rd, is good, and we pride ourselves on that. It was a good win, and a great way to end the road trip. We thank Dylan Strome for taking time to talk with us. Stay tuned for Part 2 of our conversation, where we will get into the NHL draft, and preparing for life in the NHL.